The science behind asbestos | Crucial Environmental Ltd.
Asbestos is well-known as a material that can cause detrimental effects to health, stimulating the development of several harmful diseases. But, how exactly does asbestos cause such harm? And what is the science behind its mechanism of action? To understand this, we first need to look at what exactly asbestos is. As we define it on our website, asbestos is a naturally occurring silicate material that grows in the veins of metamorphic rock. Until the year 2000, the material was widely used across a variety of industries, including carpentry, plumbing and construction. This was because asbestos provided strength and heat resistance, making it a viable option for use in roofing, asbestos cement sheets and pipes, clutch and brake linings, insulation, building materials, boilers, electrical fittings, gaskets, floor tiles, plastics, textiles and other products. It wasn’t until fairly recently that the dangers of its use became known and the use of asbestos within industry was stopped. So, why exactly is asbestos so dangerous? 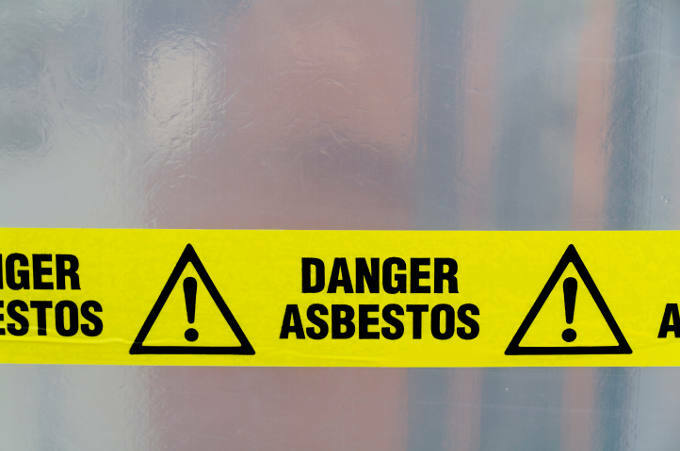 When materials containing asbestos become disturbed or damaged, for example during building work, they release microscopic fibres into the air. When these fibres become airborne, people working around the area inhale the particles into their lungs. However, this initial asbestos exposure doesn’t result in a harmful disorder straight away. Instead, the microfibres remain in the lungs for a long period, leading to conditions that develop slowly over time. Moreover, it therefore makes sense that the more asbestos exposure that somebody has, the higher the build-up of harmful fibres in the lung there will be. Nevertheless, due to the long time period it takes for asbestos-related disorders to grow, it is difficult to know if you have been affected before the disorder has already developed. There are four key conditions that are most commonly associated with long-term asbestos exposure: mesothelioma, asbestos-related lung cancer, asbestosis and pleural thickening. Let’s take a look at each one in more detail. Mesothelioma is a fatal condition that develops almost exclusively because of asbestos. Over-exposure leads to the development of a cancer that affects the lining of the lower digestive tract and the lining of the lungs. By the time it is diagnosed, it is nearly always incurable. After heavy exposure to asbestos, the build-up of fibres in the lungs can lead to serious scarring. This, in turn, causes shortness of breath and the condition known as asbestosis. Similar to mesothelioma, asbestosis is also almost exclusively brought on due to asbestos exposure. Fortunately though, it is not normally as fatal. The lining of the lungs is also known as the pleura. After heavy asbestos exposure, this lining can thicken and swell, eventually squeezing into the lung itself. This then leads to a shortening of breath and an intense feeling of discomfort in the chest, causing the condition known as pleural thickening. In a similar way to how smoking leads to lung cancer, exposure to asbestos can as well. When this happens, cells within the body mutate, grow out of control and form a tumour – most commonly in the lungs. If this tumour goes undetected, it can continue to grow and spread to other regions of the body, causing fatality. Asbestos still kills approximately 5000 workers each year, with 20 tradesmen dying each week due to prior exposure. If you are concerned that you could have asbestos on your site, contact us today. We are here to help.